Keep Trade Secrets Safe, Operators Accountable and Cell Phones Out! Pocket-Free Lab Coats Prevent Stealing and Keep Electronics Out of Production Areas! To prevent cross-contamination between the operator and product, PPE barriers such as disposable gloves, lab coats, beard covers, bouffant caps and shoe covers are often required for production personnel. Highly effective and very cost-effective, many facilities continue to opt out of their garment rental services and convert to disposables. Disposable protective garments fit a cross section of American workers and are available in colors, different sizes, configurations and with different features. One growing trend among production departments is the concern over limited-use lab coats that have pockets. Many facilities that incorporate machinery see pockets as a safety liability where extra material could catch in moving machinery. 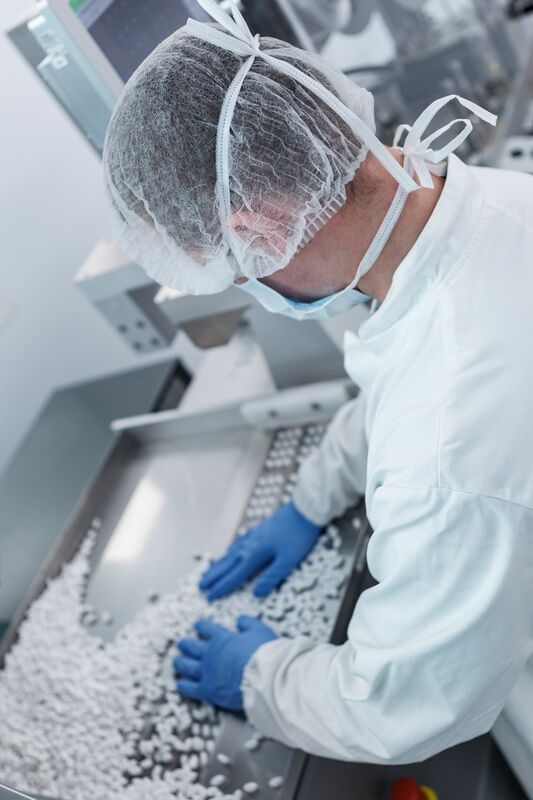 For those who handle regulated or controlled substances, pockets are a potential catch trap and for production supervisors, it means no electronics, gum, cosmetics or medicine in the assembly production areas. Dynarex® Disposable SMS Protective Lab Coats are pocket-free and are made with a soft, embossed SMS material that "breathes," providing greater wearing comfort and is ideal barrier protection against dirt, dust and moderate fluid spray. Available in different colors and sizes. Safety Zone® Disposable 28-gram Polypropylene Pocket-less Lab Coats are lightweight, breathable, durable and economically priced. Ideal for routine spray protection, dusty or dirty environments where basic protection is required. Complies with Federal Food, Drug, and Cosmetic Act which allows for repeated use in direct contact with food Available in different colors and sizes. Safety Zone® Disposable Microporous Protective Lab Coats feature a proprietary technology that protects against dry particulates and liquid splash including viral and blood borne pathogens, as well as, non-hazardous chemicals. Breathable laminate material rivals Tyvek® style lab coats but a fraction of the cost! Complies with Federal Food, Drug, and Cosmetic Act which allows for repeated use in direct contact with food. Keystone® Disposable SMS No-Pocket Frocks Frocks are manufactured from a specially formulated material that makes these garments highly breathable and provides great comfort and protection against dirt, dust and moderate fluid spray. These ISO Class 6 cleanroom compatible frocks are low shedding, low in particulate, and are antistatic to protect sensitive products. Keystone® Disposable 30 gram Polypropylene Protective Lab Coats w/ No Pockets & Velcro® front are lightweight, breathable, durable and economically priced. Velcro closure eliminates snap buttons which is a potential contaminate and it keeps a better, more complete frontal seal. Ideal for routine spray protection, dusty or dirty environments where basic protection is required.